We pick you up from Da Nang International Airport (DAD) and transfer to Novotel in Da Nang City. The team dinner is at 20:00 for a local cuisine meal. 6:00 AM early morning breakfast provided in the hotel. Meeting at the conference room for briefing and gear check at 7:00 AM. That includes 30 minutes checkup ride. 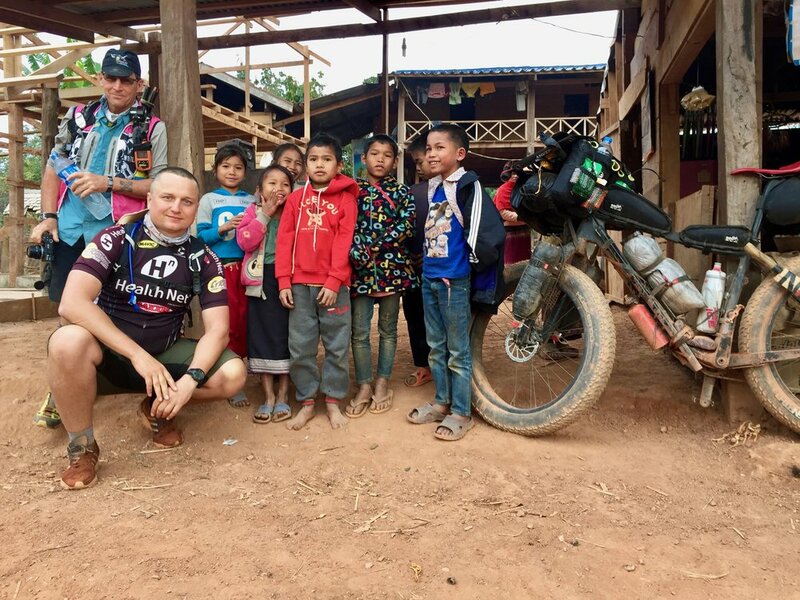 Check out from the hotel at 10:00 for loading and transferring to the drop-off point near the Laos boarder . 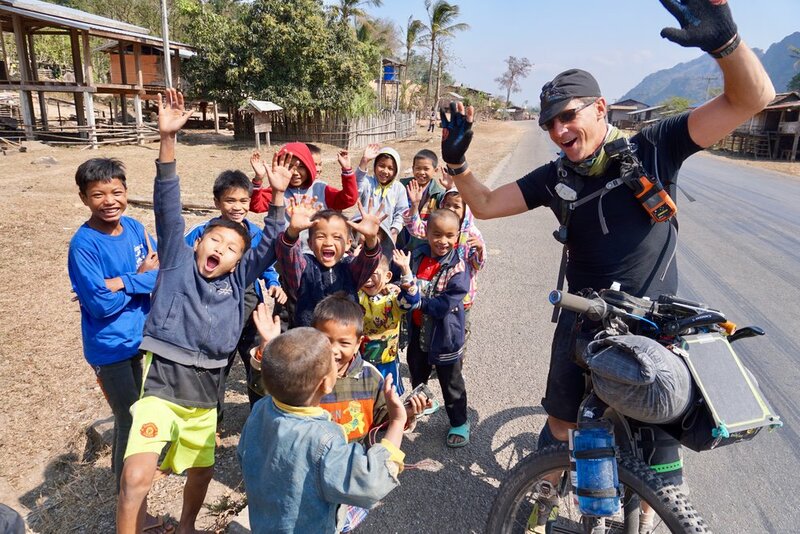 Then we starting cycling over the mountain ridge with Laos border crossing. At the end of the day we camp at the abandoned hostel. We rise early from camp to start following a chain of villages to jump in the jungle trail with first stream crossing over the rice patties with mud buffalos, stunning karst canyons with caves, making our way out through the dense jungle. Overnight in the ethnic village in the chief’s house. 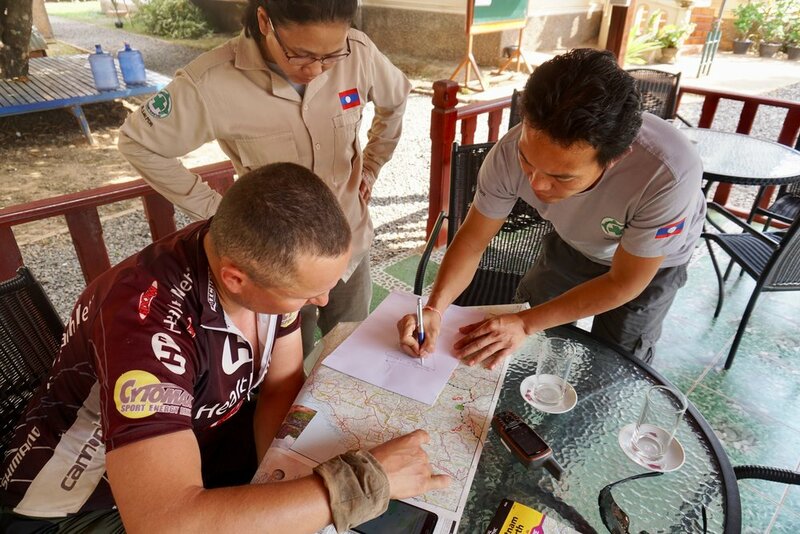 So we starting earliest in the morning to have an adventurous day through the landscape scarred with the bomb craters, river crossings and finally making into the remote valley to set our camp on the sand bank in front of the iconic Xe Bang Fai river cave. It is a good time for packraft workshop and fishing before gathering at the camp fire. At start of the day we jump in Xe Bang Fai river cave. Which lies way off the beaten paths full with water, decorated with massive stalactites hanging from the ceiling high above, alien eggs in a secret chamber, enchanted with ancient spirits. Depending on the water level we camp inside or back on the sand bank. 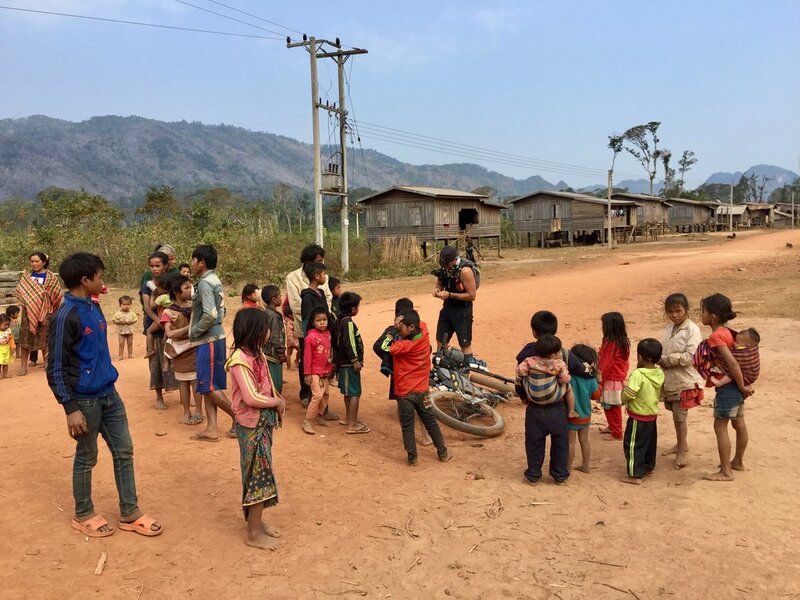 Enjoy the truly remote path through the tribal villages and mountains. 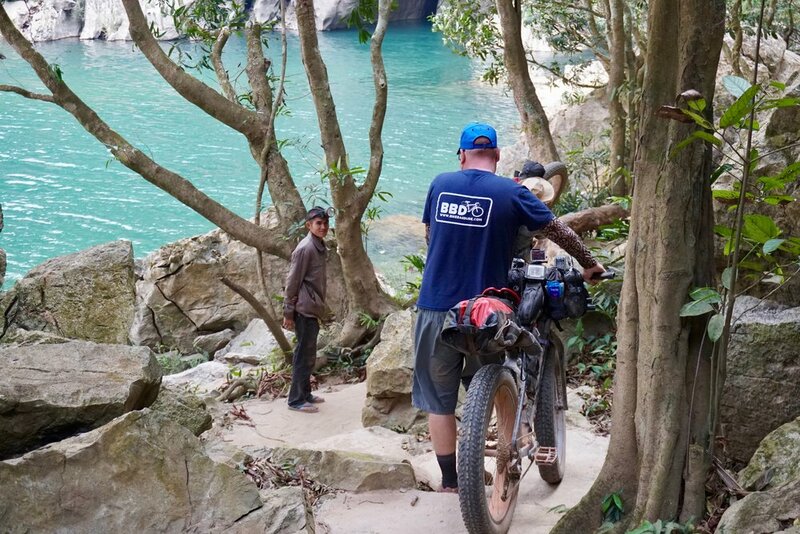 This is the most beautiful and difficult riding leg of the Ho Chi Minh Trails. Eyes up on the casual wildlife, don’t forget your water supply and gifts for the local kids. Camp at the village which stores relics of recent war: bombs, aluminum parts of plane body, Russian and US trucks. 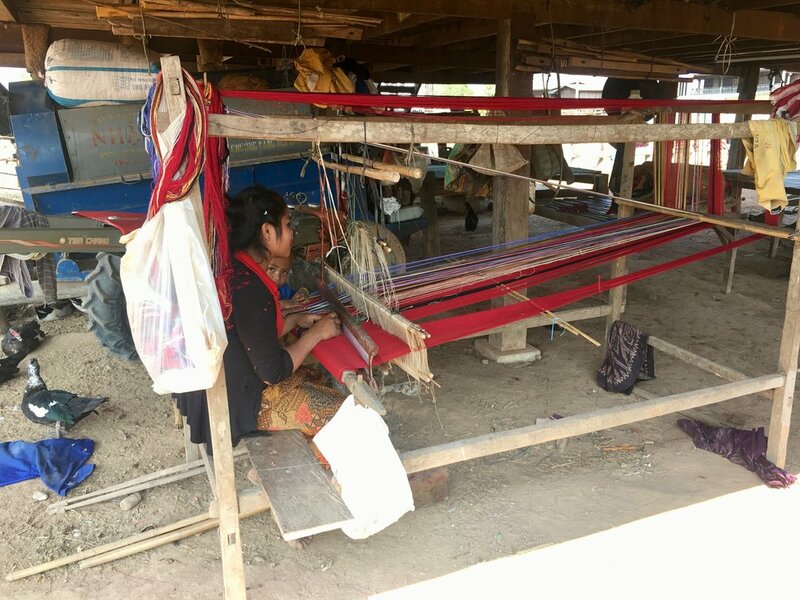 More culture via few remote villages, beautiful Buddhist temples before disappear into the jungle valley. Night camp in the Dong Phou Vieng national forest, which is the part of the Ho Chi Minh Trail with wildlife in abundance, including leaf monkey, gibbon, douc langur, jackal, tiger, pangolin, python and king cobra, etc. Two herds of wild elephants are known in the park. Bird life includes the oriental pied hornbill, great hornbill, wreathed hornbill, white-rumped vulture and red-headed vulture. Continue bikepacking in the morning in the valley to get to the packrafting dropoff before the peak of midday sun. Jump in the river that will take us downstream via few small rapids. After few km made, we can camp in a river bank enjoying sunsets. Anyone up for fishing? 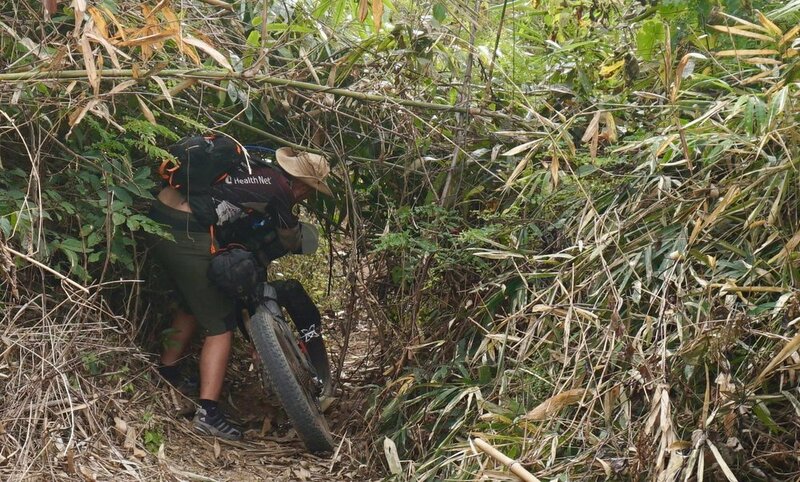 After couple more hours we are ready to embrace one the historical highlight of the Ho Chi Minh Trails – the bombed bridge. Few pictures and splashes so we are ready to switch back on the wheels and push ourselves back into the national forest, this time to camp on the plateau woods. We will venture hiking tomorrow, but tonight we dorm with monkey karaoke accompanied by birds. Leave the camp untouched, we go hiking. Take your camera, watch your steps, just make sure to seal the tent door so no unexpected guests will you have in the night. The scenic valley view is just couple km deeper in the jungle. Time to chill and recover back at the resort city. Sea side, Vietnamese cuisine, leg massage and overnight in Novotel. Next destination? Your choice. Stay one more day here or continue exploring beautiful South East Asia. Our team is there for you to provide advices you needed. We will transfer you back to the Da Nang International Airport (DAD).